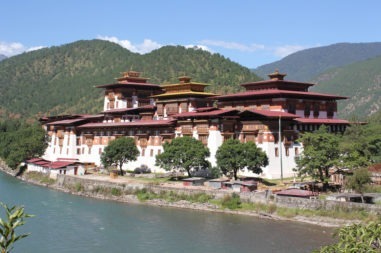 Bhutan Tour short duration covers Tiger’s nest hiking and visit to major sights in Paro and Thimpu and major Buddhist sights. 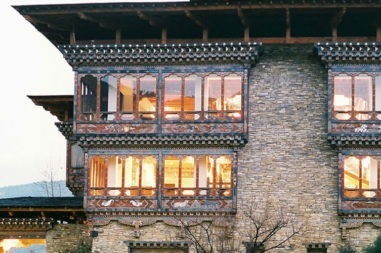 This trip is ideal for active travelers having few days extra time to extend visits to Bhutan. Bhutan’s landscape is pristine, rivers are pure, mountains are always beautiful. People are happy with their rich culture. Fly to Bhutan either from Kathmandu, Nepal or Dhaka Bangladesh, or Delhi India or Singapore or Thailand Bangkok or Calcutta India. we have direct flight form all these places. From most places here are daily flights available. we need to book these flights in advance for a high season. We apply Bhutan visa in advance and provide you before you fly to Bhutan which airlines will ask to to fly to Bhutan so need to carry the printed copy. If you like to attend Bhutan Festival please check our exact dated calendars . If you like to extend holidays in Himalayas to Mount Everest base camp for 2 weeks adventure please contact our expert. Drive to Paro and Transfer to trail-head and begin your trek to Takstang (Tiger’s Lair) monastery, Bhuitan’s most famous sight. Your guide can arrange pony/horse for ride uphill till the Cafeteria, but one must be able to walk after that. A proper trekking boot or good walking shoes is necessary for this hike those who choose not to hike can stay back with the driver and tour around Paro. Overnight in Paro Taktshang - Tiger's Nest: Taktshang or 'Tiger's Nest' as it is often referred to for Taktshang Pelphung monastery, is one of the most venerated and famous of Bhutan's monasteries. It is located on the face of a 900m sheer cliff. An impressive and un-miss able site, but accessible only by walk or to ride mules/pony. Taktshang was rebuilt by population of Tsento village. Again in April of 1998, a major fire destroyed the main structure of the building and its contents (some believe it to be arson). Reconstruction began in 2000 and was completed and consecrated after extensive efforts and financial support of Governments as well as donors.